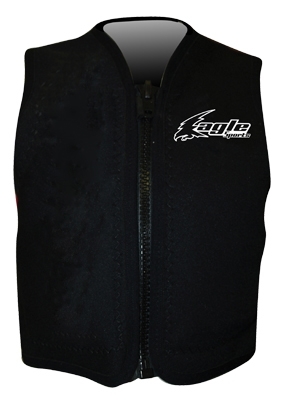 The Eagle Flo-Mo vest is designed for use under a dry suit for extra protection during the colder months of an extended season. The tapered cut and super soft 15mm flotation foam provide for maximum flexibility and protection. The Flo-Mo is also extremely popular for waterski show teams. Color: Black. Sizes XXS-XXL. Copyright © BarefootCentral.com, All Rights Reserved.